At PRM, we understand that your clients rely on you to provide comfortable, supportive seating that fits — and most importantly — that lasts. 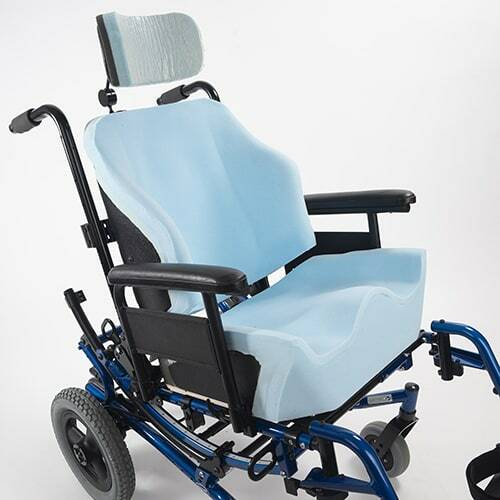 You’ll find that our innovative Signature-Fit™ custom molded seating cushions offer unmatched postural support and unparalleled comfort finely tuned to each individual’s positioning needs. PRM Signature-Fit cushions are made from high-quality, lightweight foams that are carved to the exact shape of your client. Before the shape is carved, we edit the shape to accommodate for soft spots, liner foam choices and any other modifications requested. 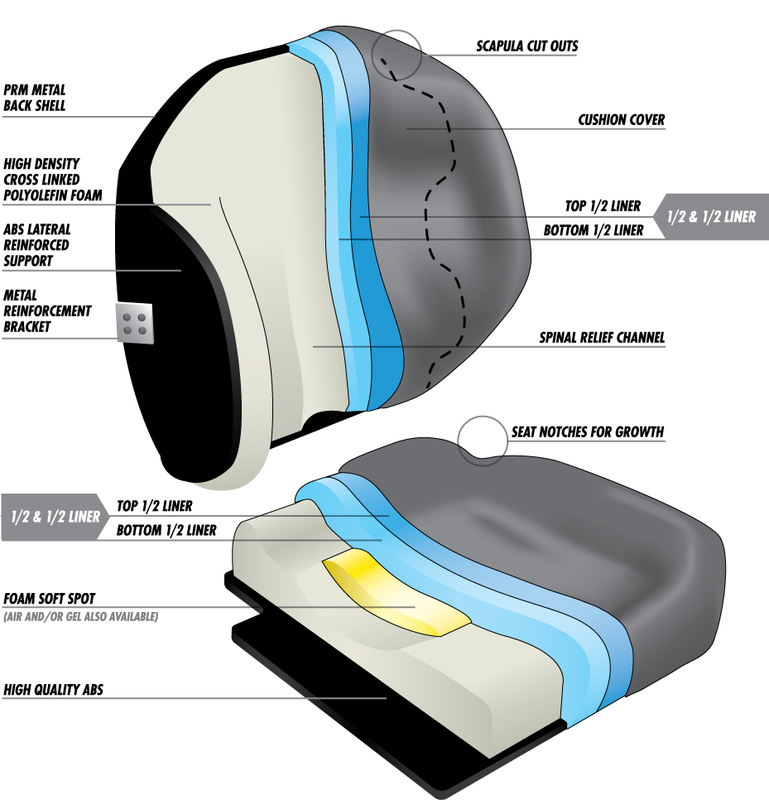 PRM Signature-Fit cushions use multiple foam firmness in the same cushion. This provides the client with a cushion that is soft in areas of high risk for skin problems and firm in areas where positioning and control are required. The 3DSystems Sense™ digitizer is extremely easy to use and provides accurate shape capture within a few minutes. Contact PRM for more information or to obtain your own Sense scanner. 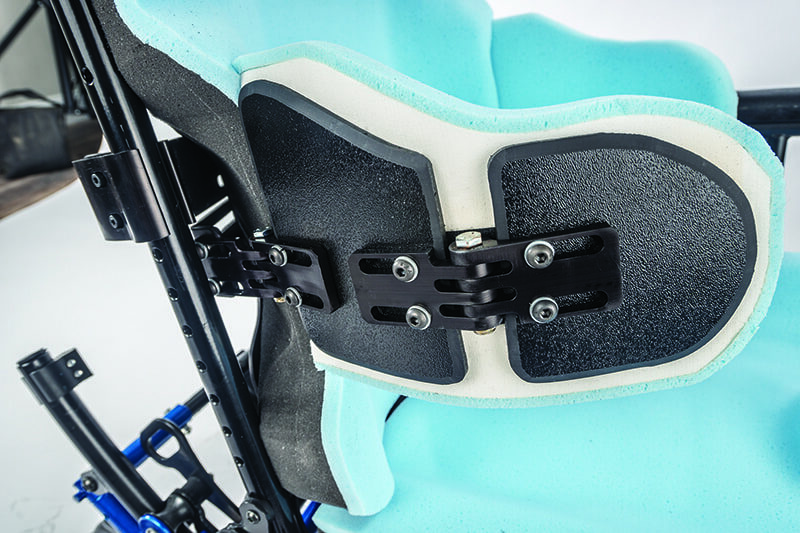 Solid reinforced laterals are a standard option for Signature-Fit cushions. This is accomplished by using a contoured ABS reinforcement attached to a metal bracket. The end result is a solid contoured support surface that properly supports your client. 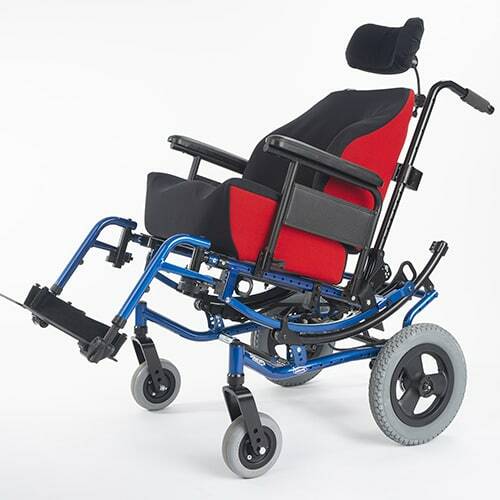 A heavy-duty reinforcement is available for those that need extra support. Laterals can be ordered with fixed, hinged and/or swing-away hardware. 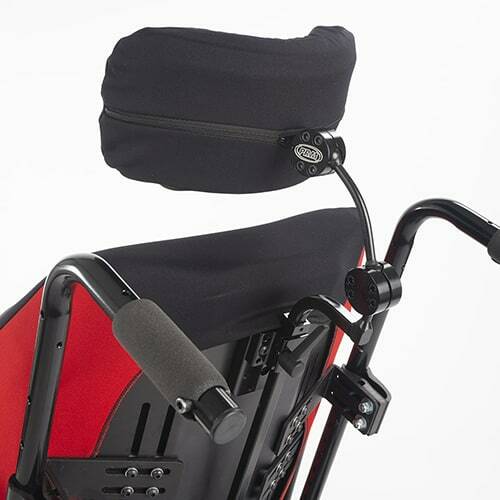 Signature-Fit can now be ordered with a PRM back shell to ease with mounting and adjustment, or with a custom pan mount to be used with power chair options. The back shell hardware will allow for depth, angle and rotational adjustments. In addition, wood mount with knob hardware or J and L brackets is also an option. 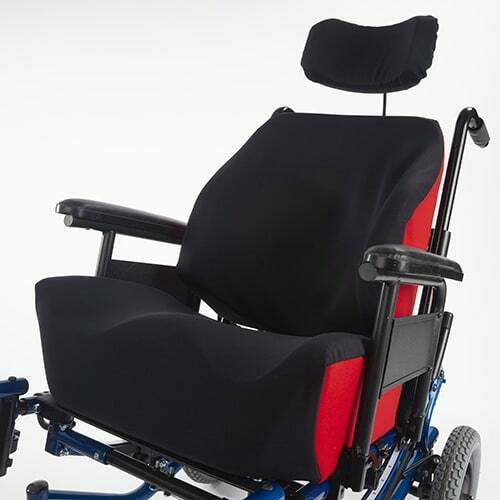 Seat cushions can be ordered with 1/8” ABS bottom to minimize thickness and facilitate a Velcro mount. 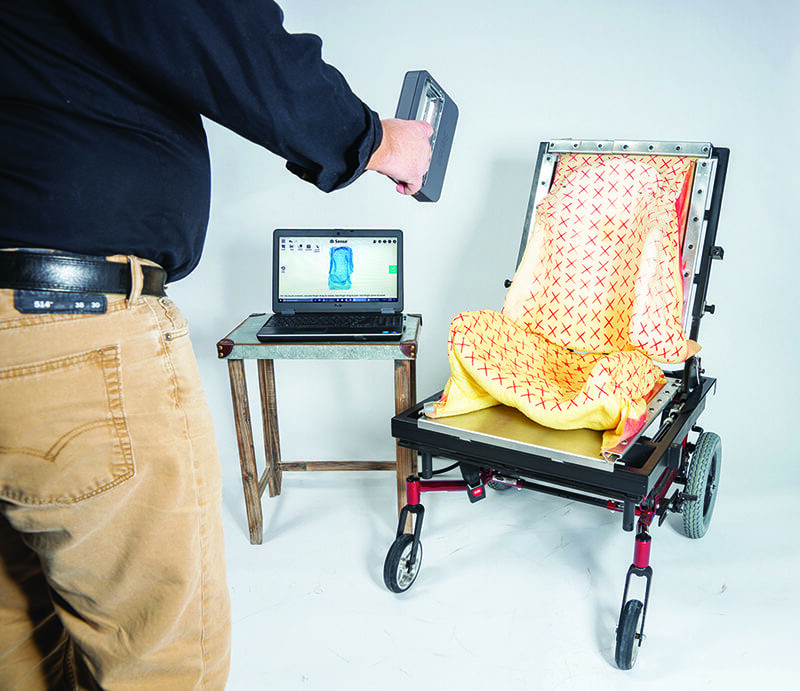 All Signature-Fit cushions can be modified in the field by a trained vendor. This will not impact warranty of the product. Care should be taken to maintain liner foam top surface and make modifications to base foam. Signature-Fit cushions can be ordered to facilitate growth. Growth junctions will allow for depth and back height adjustments. Removable liner foam and summer/winter lateral hardware can be utilized for adjustments with client width changes. If required, air inserts as well as gel inserts and softer foam can be used to assist with pressure equalization. In addition, off-loading of high-risk areas can be achieved by utilizing the Signature-Fit editing software. Signature-Fit cushions can be ordered as a trial-fit (cushion is returned to PRM after fitting for finishing), trial-fit with liners and covers (cushion is finished by vendor after fitting) and as a finished cushion. Signature-Fit quotes are turned around within twenty four to forty eight hours. Signature-Fit cushions ship within seven to ten working days, and cushions that are returned from a trial-fit (after initial fitting) ship within five working days. Also, the trial-fit with liners and covers option provides the ability to finish the cushion at the time of the fitting — eliminating additional visits and saving valuable time. 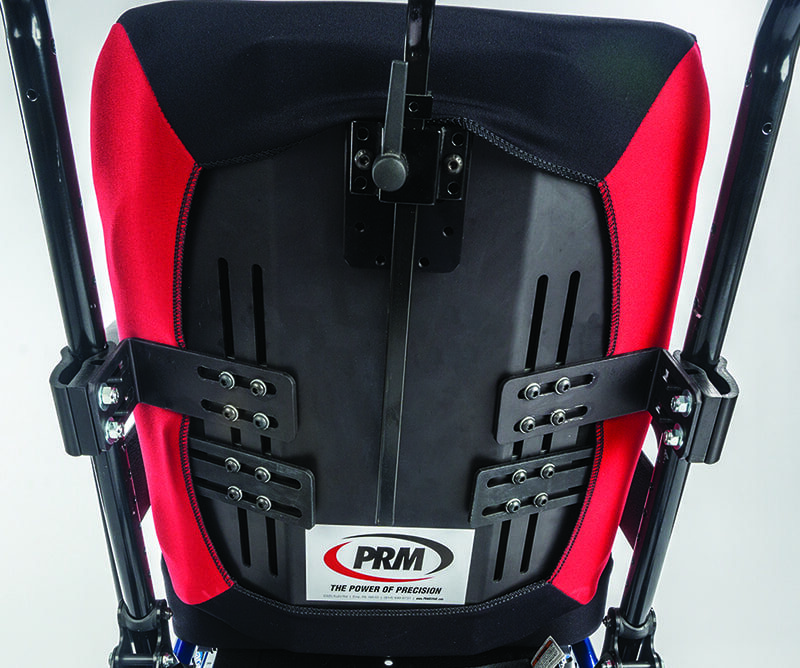 At PRM, we are proud to offer a two-year warranty on all Signature-Fit cushions. If for any reason you are not satisfied with the product, we offer a 90-day satisfaction guarantee. Contact us directly for any questions or concerns with product performance. 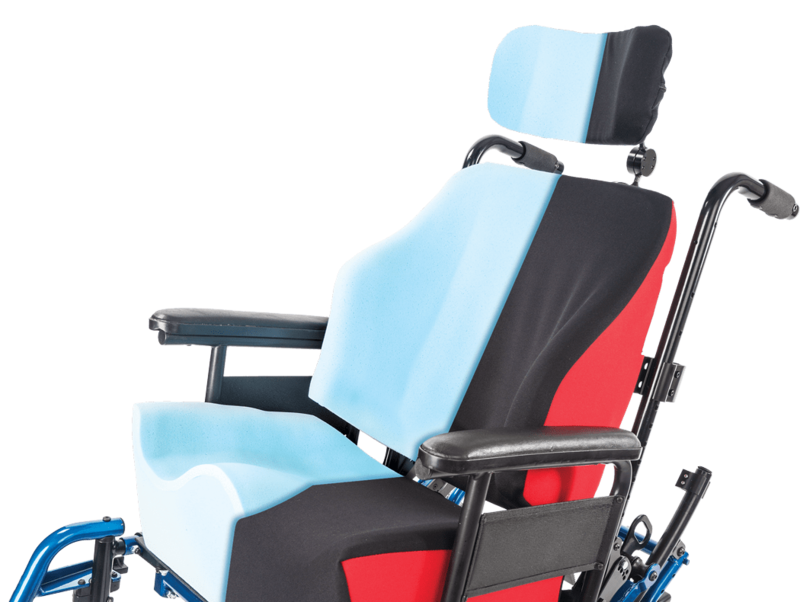 At PRM, we continue to elevate the standard for accurate, high-quality custom molded seating systems. Discover the Signature-Fit difference for yourself. 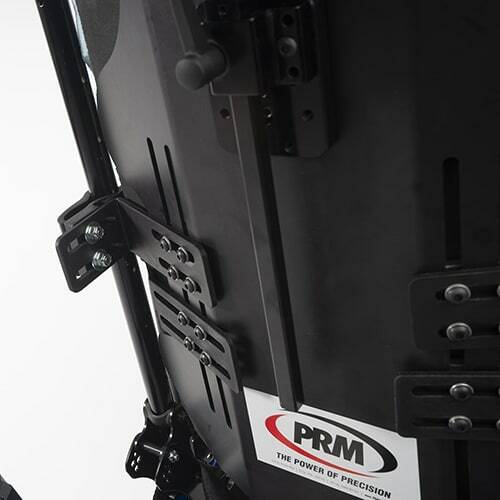 For more information or to schedule a demonstration, simply call 866-PRM-REHAB.